Susana Barbosa, member of ANICT and researcher at Universidade de Lisboa, was the winner in the “Natural and Exact Sciences” field of the 2012 ANICT Msc Fellowship award. 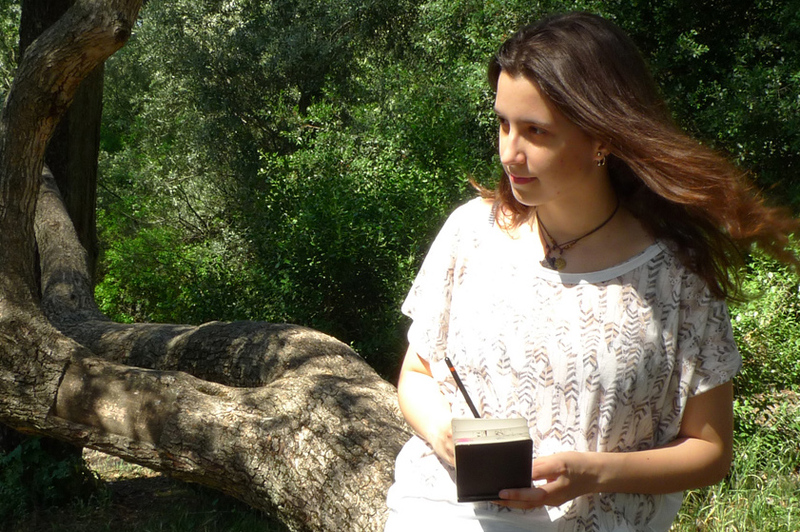 She will supervise the MSc candidate Andreia Ribeiro to pursue her thesis in Geophysical Sciences, at Universidade de Lisboa, in the theme of “Study of the influence of temperature changes in wine yields in the Douro region from statistical downscaling of a numerical weather model”. Wine production is an activity of high economic and societal relevance. Among other factors, grapevine is highly influenced by air temperature, which significantly affects the grapes composition and therefore the quality of the final wine yield. In a climate change context it is therefore particularly relevant to quantify the effect of changes in temperature in wine yields in order to reduce impacts and implement adaptation measures. This master thesis concerns the analysis of high-resolution (9 km) temperature data from the WRF numerical model and of historical records since the last 30 years of wine yields in the Douro region. The work is based on the application of geostatistical simulation techniques for the statistical downscaling of model data to the local scale, and on the development of nonlinear regression models for the quantification of the relation between air temperature and wine yield in the Douro region. João Ventura, member of ANICT and researcher at Universidade do Porto, was the winner in the “Engineering and Technological Sciences” field of the 2012 ANICT Msc Fellowships awards. He will supervise the MSc candidate Catarina Dias, to pursue her thesis in Physical engineering at the University of Porto, in the theme of “Memristor based adaptative Neural Networks”. This project aims to develop electronic synaptic components and artificial neural networks based on metal-insulator-metal memristor nanostructures. This proposal is driven by the recent discovery that memristors are capable of adapting their electrical conductance in a similar manner to the connection strength adjustments between neurons in biological systems. Neuron synapses are dynamic elements whose function is to modify the signal emitted by the pre-synaptic neuron and deliver it to the post-synaptic neuron. In a simplified view, if two neurons are frequently co-activated the corresponding synaptic strength is potentiated, i.e. learning occurs. The work plan will focus on the dynamic properties of the memristor structures. These will be systematically probed aiming the control of artificial “synaptic plasticity”, i.e. the ability of a synapse to change the connection strength in response to its activation. Conceição Montenegro, member of ANICT and researcher at Universidade do Porto, was the winner in the “Health Sciences” field of the 2012 ANICT Msc Fellowships awards. 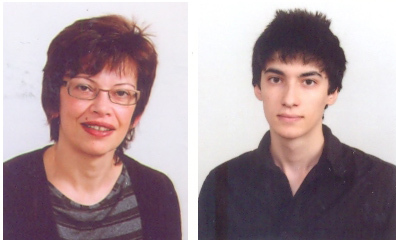 She will supervise the MSc candidate Tiago Sousa, to pursue his thesis in Pharmaceutical Sciences at the University of Porto, in the theme of “ Evaluation of the release methyl methacrylate monomers in dental restorative materials: use of HPLC coupled with efficient sample extraction processes”. The most used polymer for denture bases fabrication is polymethyl methacrylate (PMMA), obtained by mixture of this polymer powder with liquid monomer methyl methacrylate (MMA). The polymerization reaction may occur through different methods: heat-polymerization, auto-polymerization, microwave and visible light polymerization. The conversion of monomers into polymers is never complete and the unreacted MMA monomers remain in the denture base in the range of 0,1 to 5% (w/w) . The ISO 1567 standard specifies that the maximum residual monomer content should not exceed 2,2% (w/w), arguing potential cito and/or genotoxic effects. The project aims to develop and validate an analytical method for the determination of MMA in saliva samples subjected to direct contact with PMMA resins obtained through different polymerization methods to establish a correlation between the polymerization process and the amount of toxic .monomers. The method it will be based on HPLC – UV detection associated with analyte extraction by dispersive liquid- liquid microextraction technique. In the future, this study will give an indication on which of the processes is safer under the clinical point of view, after studies of cito/genotoxic effects in living cells. Octávio Mateus, member of ANICT and researcher at Universidade Nova de Lisboa, was the winner in the “Other Scientific field / multidisciplinary ” of the 2012 ANICT Msc Fellowships award. 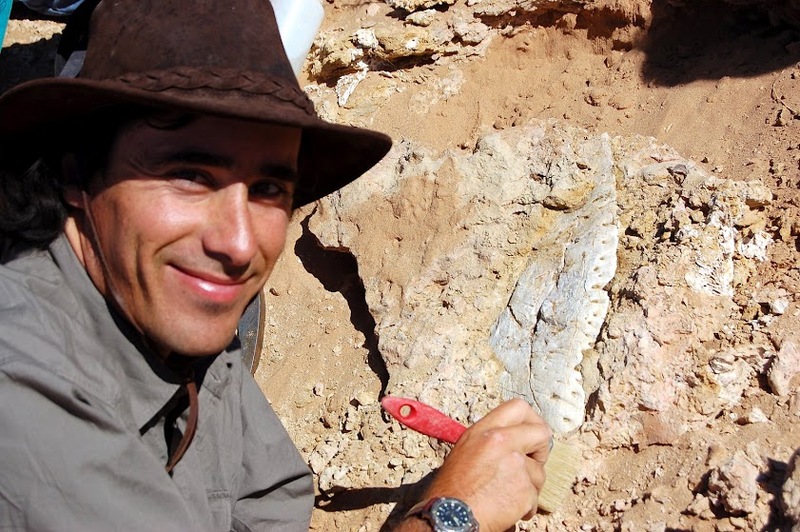 He will supervise the MSc candidate Joana Bruno, to pursue her thesis in Scientific Drawing at the University of Évora, in the theme of “Paleontological Illustration of Dinosaurs and other fossils”. The Master’s dissertation is devoted to the illustration of dinosaurs and other Cretaceous and Cenozoic fossil vertebrates within the scope of the «PaleoAngola Project». The main goal is to produce scientifically accurate drawings that will contribute to the research of paleontology and promote the value of Angolan fossils. These include new species hitherto unknown to science, are presently under preparation and study in the Museum of Lourinhã and will afterwards return to their country of provenance. For this reason, the scientific illustration plays a crucial role in the research. Moreover, the illustrations may become a part of related scientific publications (including articles and a book currently being prepared by the project’s researchers), and museum and public science outreach. It is our aim to make the final illustrations not only of use to the «PaleoAngola Project», but also a contribution to the cultural and scientific enrichment of Angola. ANICT 2012 MSc fellowship results were announced on the 3rd ANICT symposium, in the past 15th of June. The ANICT member winners were Susana Barbosa, Conceição Montenegro, Joao Oliveira Ventura and Octávio Mateus.